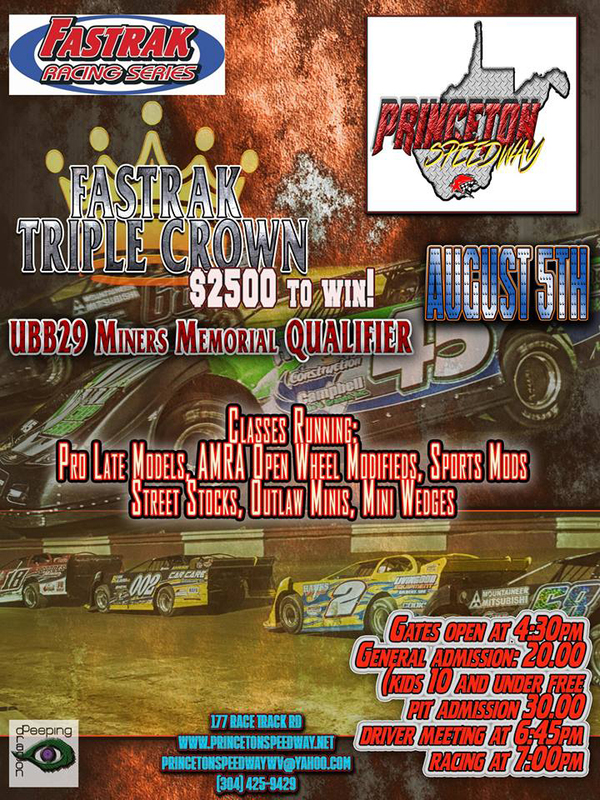 CARNESVILLE, GA – The FASTRAK Pro Late Model Series will compete in the third Jewel of the 12th Annual FASTRAK Triple Crown this Saturday night with the $2,500-to-win, $250-to-start Little General Stores 40 at Princeton Speedway in Princeton, WV. Tyler Bare of Rockridge Baths, VA leads the Triple Crown point standings. Here’s the complete payout for the Saturday night Little General Stores 40 at Princeton Speedway: 1. $2,000; 2. $1,000; 3. $700; 4. $600; 5. $500; 6. $450; 7. $400; 8. $375; 9. $350; 10. $325; 11. $315; 12. $300; 13. $275; 14. $265; 15. $250; 16. $250; 17. $250; 18. $250; 19. $250; 20. $250; 21. $250; 22. $250; 23. $250; 24. $250. The final Jewel of the 12th Annual FASTRAK Triple Crown will feature three tight point battles that include the Triple Crown points, the FASTRAK South East Region points, and the FASTRAK Mid-Ohio Valley Region points. Just 11 points separate the top five in the Triple Crown points, and only 18 points separate the top five drivers in the FASTRAK SE points chase. Bare leads both the Triple Crown and the FASTRAK MOV point standings. Bare has 67 Triple Crown points and is fresh off a victory in the second Jewel of the Triple Crown last Saturday night at Wythe Raceway in Rural Retreat, VA. The second-generation driver holds a three-point advantage over former FASTRAK Champion Ron Parker of Belwood, NC, who has 64 points. Benji Hicks of Mt. Airy, NC and Brent Hilton of Rural Retreat, VA are tied for the third spot in the Triple Crown standings with 60 points apiece. The current FASTRAK SE point leader Matthew Nance of Ronda, NC is fifth in the Triple Crown standings with 56 points. Nance is the first driver during the 2017 season to hold the FASTRAK SE point lead after two straight races. Nance, who has 241 points, has used three top four finishes in his last three starts to sit on top of the points list with a win, a second-place effort, and a fourth-place showing. Parker is currently second in the FASTRAK SE points chase in his quest for a second championship. Parker has 235 points, just six points behind Nance. While Parker is only driver in the top five of the point standings to have not yet held the top spot, he has been consistent with a pair of third-place finishes in his last three races. Hicks is third in the FASTRAK SE standings with 231 points. Hicks is the only driver with two FASTRAK wins this season and has been in the Championship hunt since winning the season opener on April 1 at Toccoa Raceway in Toccoa, GA.
Jensen Ford of Piney Flats, TN is fourth in the FASTRAK SE standings with 225 points and one win this season on June 17 at Toccoa Raceway. Ford is trying to recover from a couple of hard luck races where he was involved in accidents not of his own making. The defending FASTRAK SE Champion Cla Knight of North Augusta, SC is fifth in the standings with 223 points and one win this season on July 22 at Screven Motorsports Complex in Sylvania, GA. Knight didn’t really hit his stride until Labor Day Weekend of last season, so he is still a legitimate title contender. Bare leads the FASTRAK MOV standings with 133 points. The battle for second is tight with just three points separating four drivers. Parker is second with 115 points and Hicks is tied with Nance for the third spot with 114 points apiece. Ford is fifth with 112 points. Also expected for the FASTRAK Little General Stores 40 this Saturday night at Princeton Speedway will be the defending FASTRAK Triple Crown Champion Ross Bailes of Clover, SC and the FASTRAK SE Futures Cup point leader 18-year-old Corey Almond of Appomattox, VA. The FASTRAK Futures Cup is a point fund for FASTRAK drivers under the age of 20 at the start of the season. At the conclusion of the Little General Stores 40, the 2017 FASTRAK Triple Crown Champion will be honored in Victory Lane in a special ceremony where he will be Crowned, Draped with a Robe, and handed a Scepter. 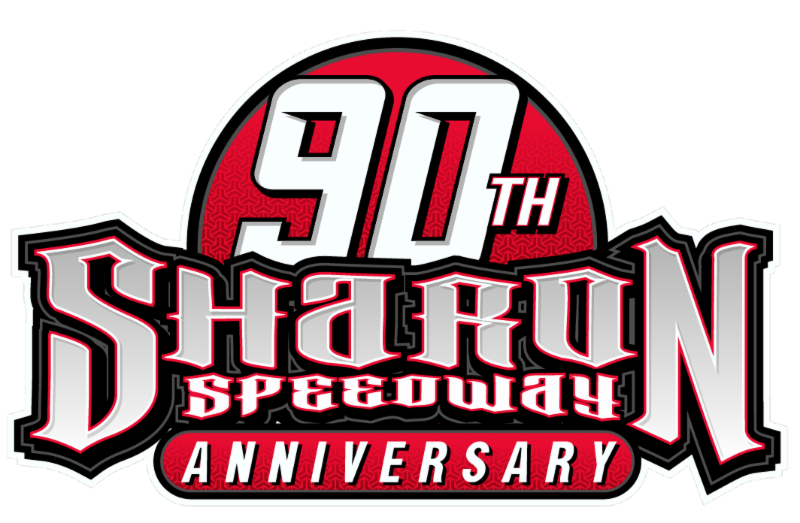 The winner of the Little General Stores 40 will be a Guaranteed Starter in the FASTRAK Pro Late Model Series 40-lap $3,000-to-win, $229-to-start Lewis Automotive/Little General Stores 7th Annual UBB 29 Miners Memorial Race at Princeton Speedway on August 12. On Saturday at Princeton Speedway, gates open at 4:30 p.m., with FASTRAK Pre-Race Registration and Technical Inspection from 4:30 p.m. to 6:45 p.m. The Drivers Meeting is set for 6:45 p.m. with Hot Laps and Racing to follow. Princeton Speedway is located at 177 Race Track Road in Princeton, WV 24740. For more information call 304-425-RACE (7223), or visit the track web site at www.princetonspeedway.net. You can also follow them on Facebook at Princeton Speedway (WV).